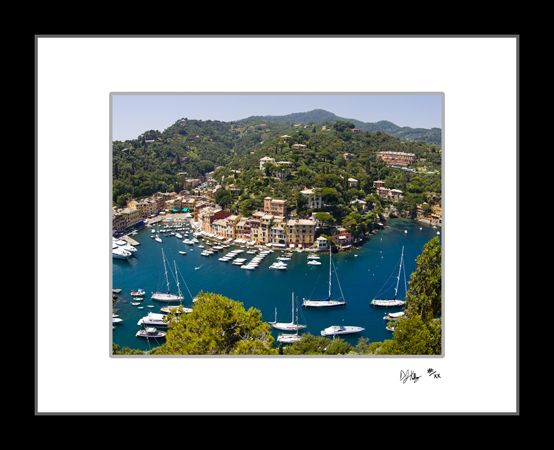 This photograph looking from high above the harbor of Portofino, Italy captures the port, the buildings, and all the boats in the port. Portofino is an Italian coastal town in the province of Genoa, This picture shows the blue water and colorful buildings that are found through the Italian coastal towns. The town is located along the Italian Riviera, climbing from the sea up into the mountains protecting the harbor.